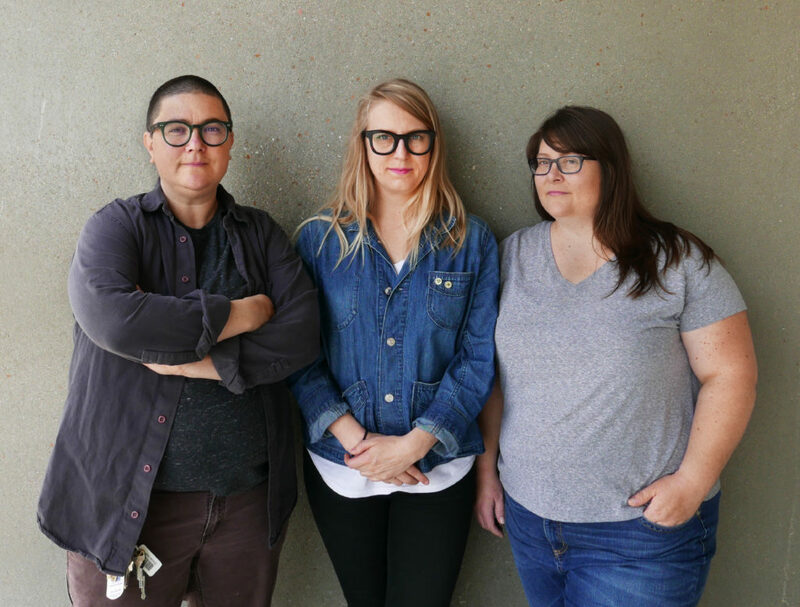 “I > < YOU > < WE"
While these three artists live in different cities (Detroit, Kansas City and Richmond), they have remained in close dialogue since first meeting at a residency in 2009. Over the past few years, they forged a distinctive model of discourse to explore the overlaps and gaps between their artwork. Meeting regularly—in person and virtually—they talk, share work, discuss readings and assign one another prompts and exercises. Through this mode of working in tandem, they explore the similarities and differences between their practices, nudge each other out of established comfort zones, develop new ideas, combat isolationism and explore the possibilities that arise from working independently, yet within a trio. Each artists’ style is unique, ranging from abstraction to notation, hard edged to organic forms. They differ in preferred media: printmaking, sculpture and drawing. However, they share concerns around emotions, relationships and the literal and metaphorical spaces in between beings and objects. Guest curated by Lauren Ross, “I><YOU><WE” is the culmination of the artists’ years-long process of collaborative dialogue, art-making, and friendship. Although every piece in the exhibition is the distinct work of a single individual, the collective project softens the boundaries between separate artists and teases out the effects of influence and camaraderie. I > < You > < We Exhibition from Visual Arts Center of Richmond on Vimeo.